PROPPR was a large RCT of transfusion ratios of pRBC:FFP:platelets of 1:1:1 vs. 2:1:1. While the study did not show an overall difference in mortality, length of stay, or ICU time at 24 hours or 30 days, there was a trend toward patient survival in the 1:1:1 group. PROPPR did show that there was increased hemostasis achieved in the 1:1:1 group and less patients died of exsanguination in the first 24 hour with this ratio. There was no significant difference in adverse events between the 2 transfusion ratio groups. Once hemostasis is achieved one of the best methods to focus on a goal directed transfusion is through a TEG. Should our treatment of hemorrhagic shock depend on the cause (i.e. trauma vs. GI bleed vs. menorrhagia)? Probably not. Elderly patients are particularly at risk for adverse events due to the many things we consider routine in the ED but are not always necessary for their inpatient course - think twice if patients need monitors attached which can beep frequently keeping patients from sleeping and lines or tubes that can lead to tripping and falling. 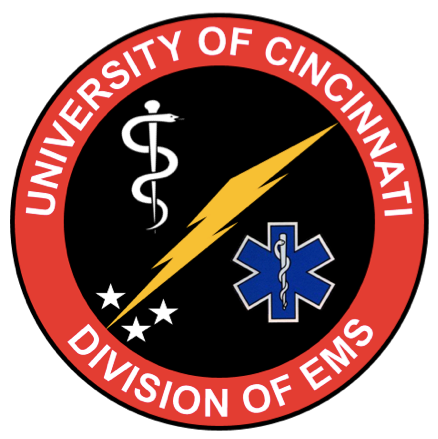 The SW Ohio Traumatic Arrest Protocol has recently been updated so that field termination of resuscitation is possible in any adult trauma patient who is in bradycardic PEA (HR <40) or asystole. The folks over at ALiEM published a nice PV Card on this topic recently, navigate over and take a look!